The wife and I are going to do something different this year for turkey day since it will just be us and the baby. 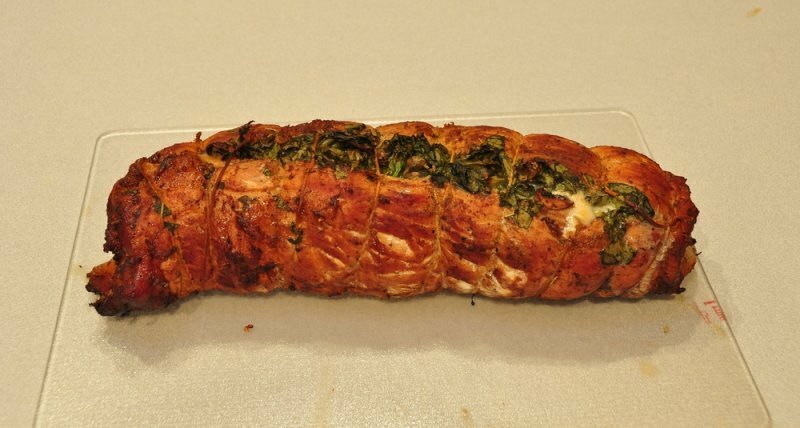 I'm planning on making a stuffed pork loin for the main dish but have never done one and not sure what we want it stuffed with. Anyone have recipe recommendations for one? Any tips on preparation and/or cooking are appreciated. I have to work and will not be able to smoke it so oven or grill recipes requested. I have had good results with packaged pork dressing, chopped pecans and apples. Cut it,stuff it, tie it. I made this a few times. 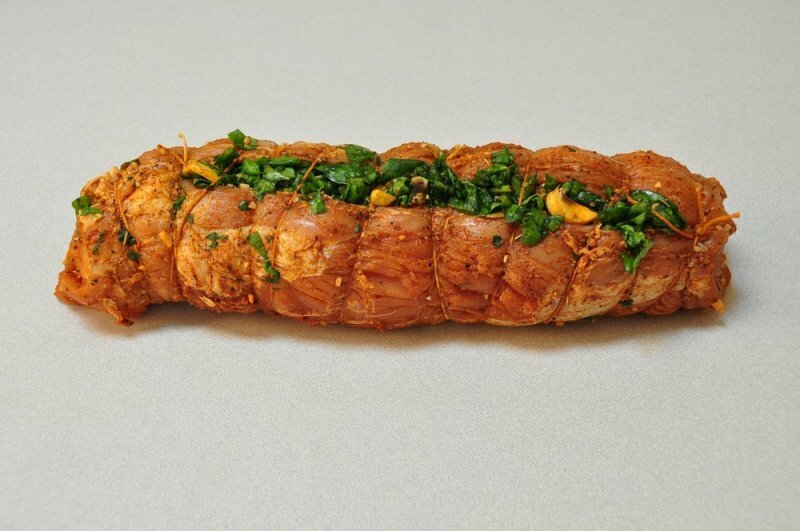 Butterfly your pork loin. pound it out so it's flat. 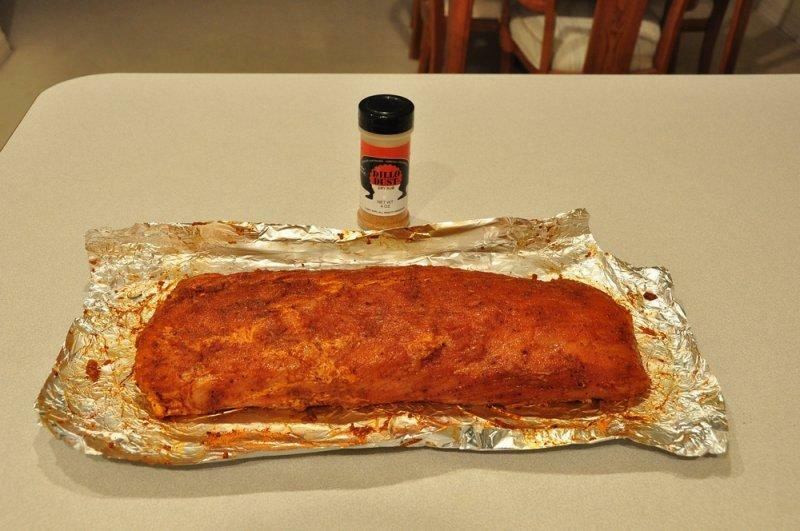 Spread out up to 1lbs of chorizo on top. Take a can of pickled banana peppers and spread that over the chorizo. First strain it into a bowl to preserve the juice. Salt, pepper, rosemary, sage on top of that. Roll it up. tie up the roll. Marinate it in the juice for atleast an hour. Salt/pepper the outside of it when it's done marinating. Sear all sides on a hot cast iron pan. Either chunk it on a hot grill or in the oven until it hits 150 or so on the inside. 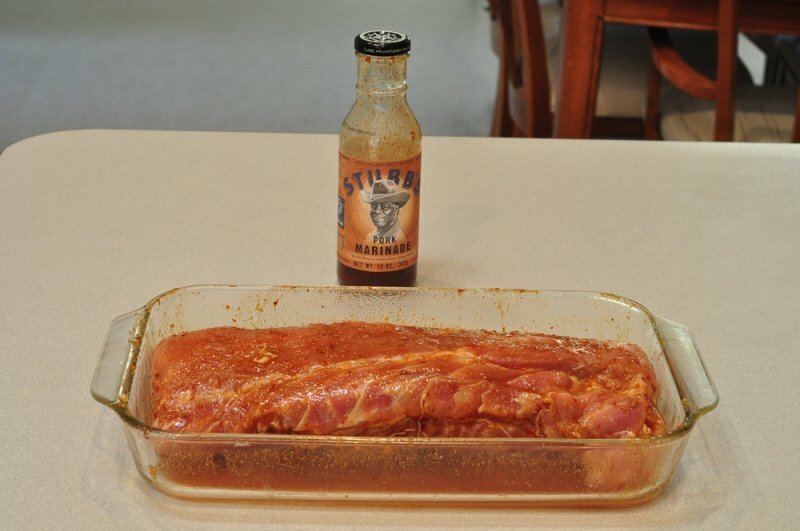 Optional: Marinate the pork loin for about five hours with the marinade of your choice. Now the hard part. Fold all that stuff back over and tie it up with butchers twine. 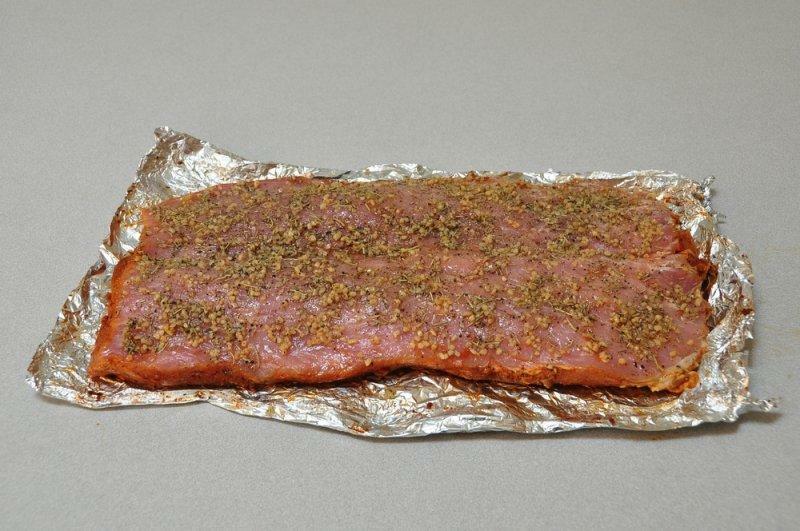 Onto the smoker with apple and Chardonnay soaked oak. 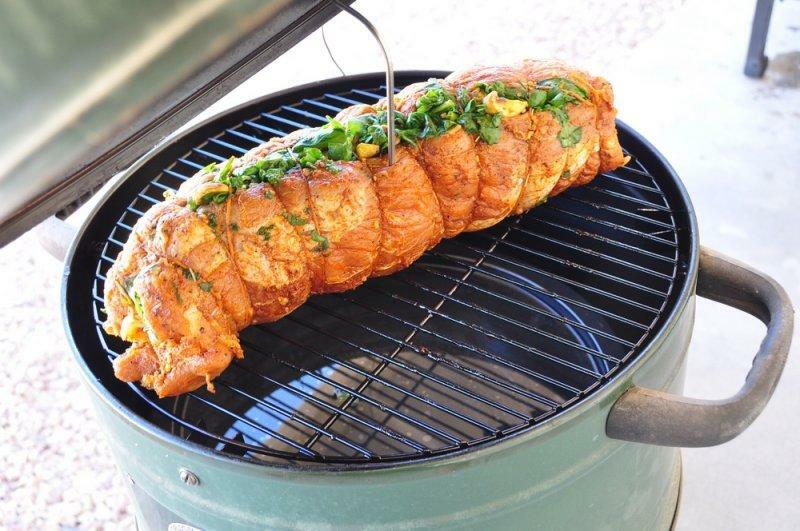 I like it stuffed with pancetta or guanciale and chantrelles , apples & manchego cheese probably wouldn't hurt . 1. Quarter prunes and apricots and place in a bowl; stir in bourbon. 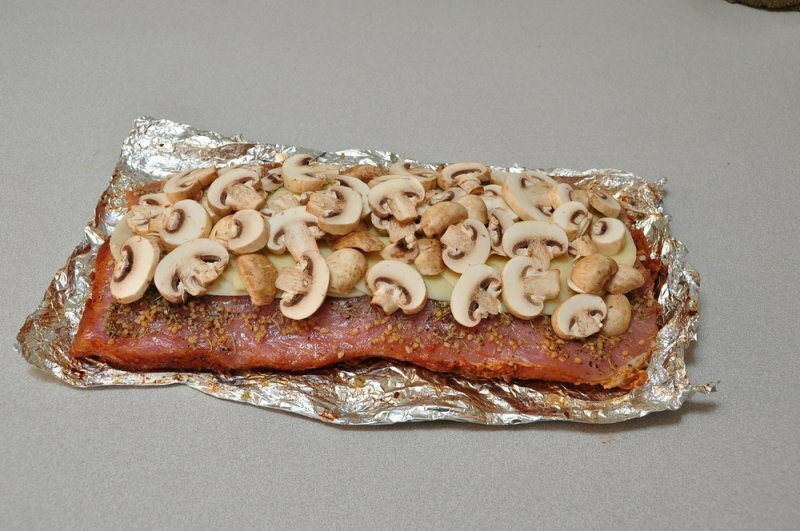 Cover with plastic wrap; let sit until plump, about 2 hours. Uncover and stir in honey, lemon and orange zests, and apple; set aside. 2. Heat oven to 325°. Season pork with salt and pepper. 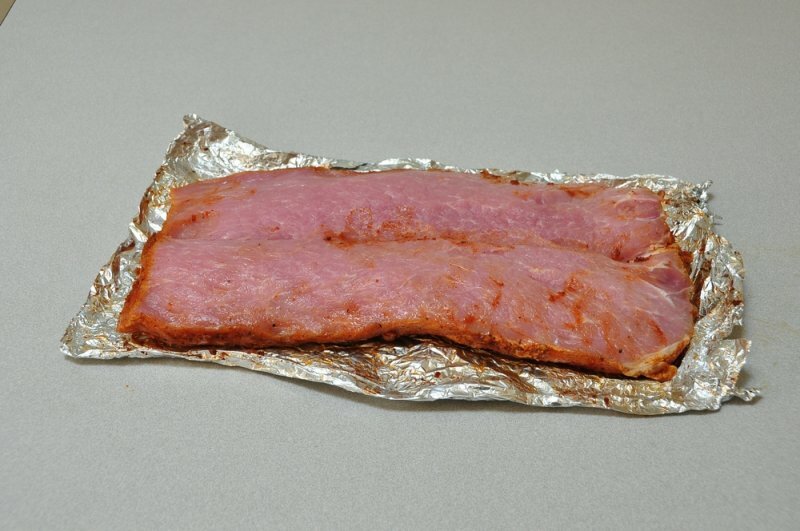 Drain fruit, reserving juices, and spread fruit evenly over pork; tie securely with butcher's string. 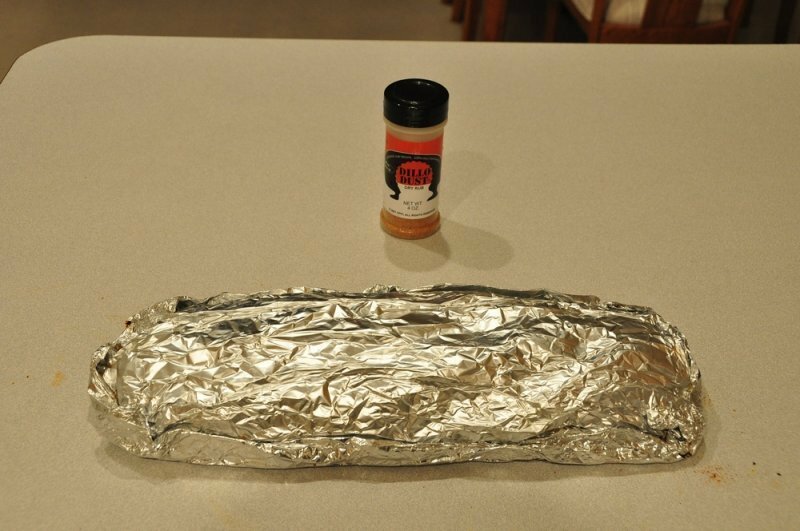 Transfer pork to a 9" x 13" baking dish. 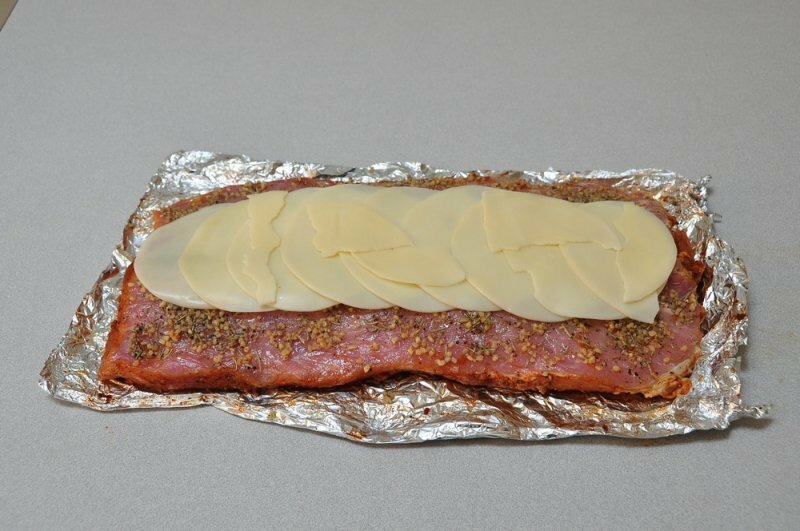 Using a paring knife, cut slits in top of pork; insert sliced garlic. 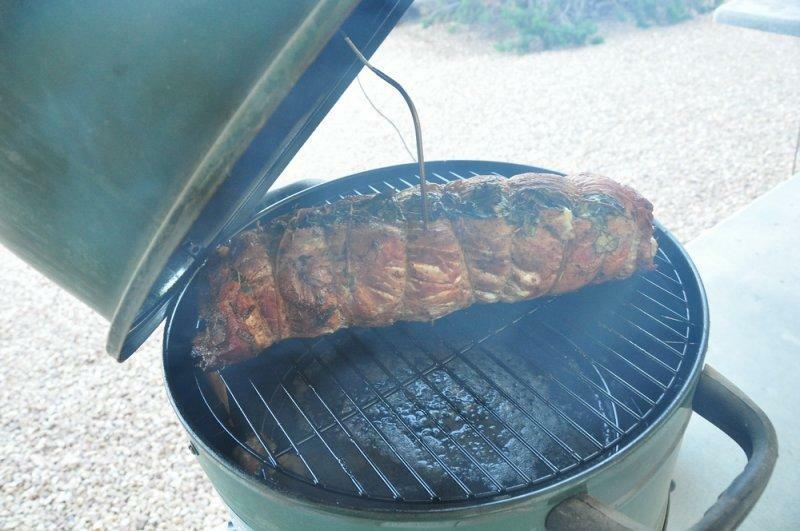 Rub butter and thyme over pork and sprinkle with flour; pour reserved fruit juices and cider around pork and cover tightly with foil; bake 1 hour. 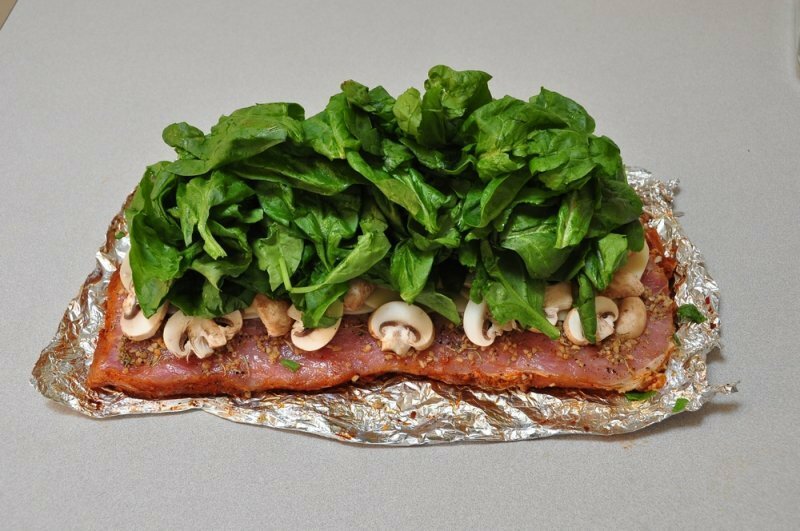 Uncover pork and increase oven temperature to 425°; bake until browned, about 35 minutes more. Rest pork 15 minutes before slicing. 3. Transfer pan juices to a 1-qt. saucepan; simmer until reduced by ¼, about 20 minutes. 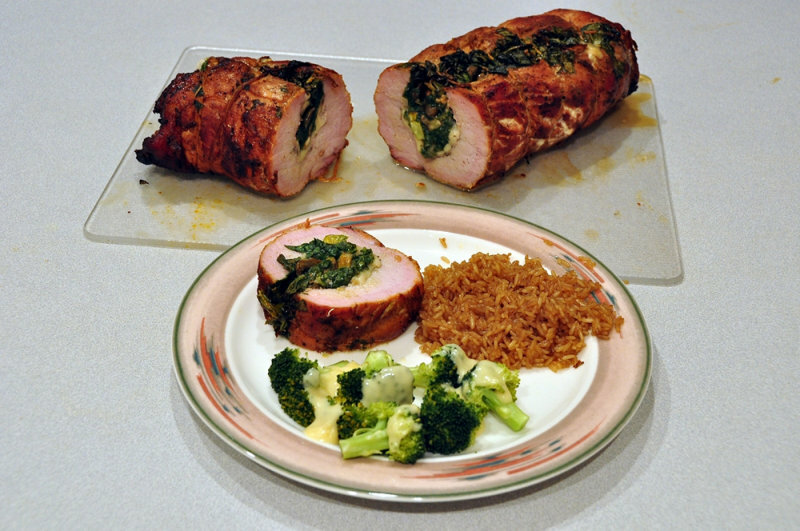 Slice pork and arrange on a serving platter; drizzle with sauce. I like them with cream cheese, diced onion, bell peppers, and mushrooms. I used to do one with orange marmalade and dried apricots and prunes. Got rants from my customers.